Whether you're having a romantic meal for two or hosting a party, the beautiful glass dining table will provide an excellent piece of furniture to suit your needs. The sleek, clear tempered glass is durable for everyday use. 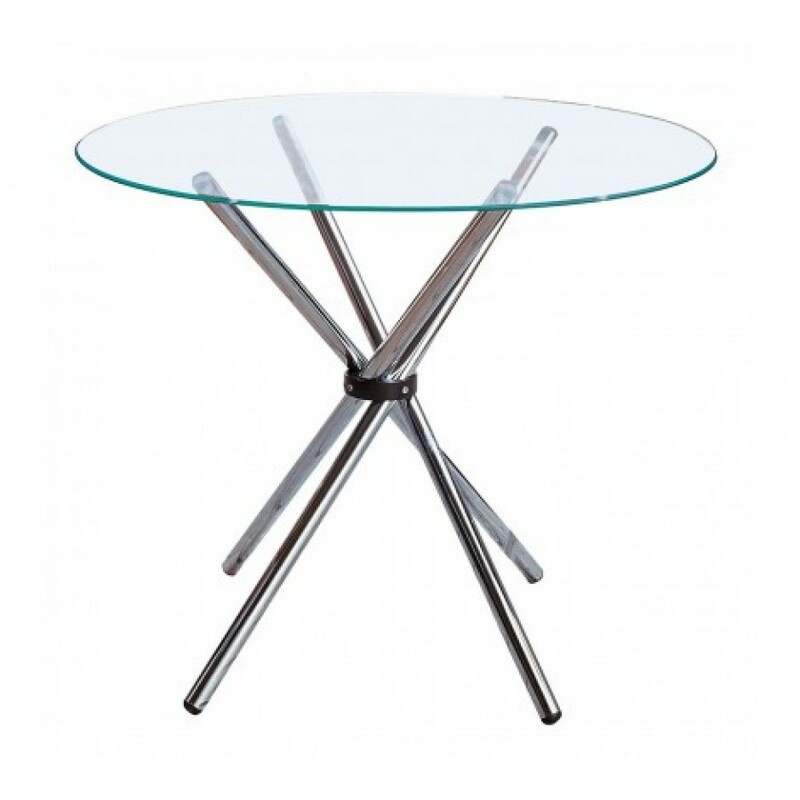 Four stylish chrome legs criss-cross and attach to the table with the use of suction cups. This is where the ingenious design works. If you require extra space or are moving, simply remove the glass table and fold the legs into a single column for compact storage. As practical as it is elegant, the glass dining table will bring a fashionable and unique look to your home.